More and more people are building wooden kit boats and there is an ever increasing choice of kits to choose from. How to choose a Kit that will be right for you, your skills, your pocket and produce a boat to be proud of. Which Boat Kit for You? Which Kit Boat for You? If you are going to spend time effort and your hard earned cash on a kit boat try to weigh up all the pros and cons before you chose. How much woodworking expertise do you have? And how much boating experience? Wooden boat kits are ideally suited to the do-it-yourself handy person but if this is your first attempt, be realistic, start with something small and straight forward. And if your boating experience is limited chose a design which you are confident that you can handle. Even better, get out on the water, join a club and try out the boats you are interested in before committing your self to a kit. And where are you going to keep her when she is finished. Most kit boats use epoxy resins, these work best in stable environmental conditions. Many kit boats have been built outdoors but clearly it is preferable to use a garage, workshop or spare room. And preferably one which can be dedicated to the job for however long you need to take over it. Once the boat is built if she is large you will probably need to keep her on a mooring or in an expensive marina. A small boat, on the other hand can be kept at home and either car topped or transported on a trailer to wherever you fancy launching her. However, for this you need to consider the hull weight, will you be able to lift it onto your car or if trailing will the car cope with the weight. Now what about the hull shape? Most kits are either Hard-chined or Multi-chined. Some would argue that multi-chine boats are better looking than hard chined and they do have the edge when it comes to hull efficiency. However, they are more difficult and time consuming to build as there are many more parts and much more fiberglass work is involved. Hard chined boats, on the other hand are renowned for great handling, stability, load carrying and roominess. They are also, by far the easiest type to build. And as for looks, what could be prettier than a well built dory? Building a kit boat, will cost more than buying the plans and all the materials separately and building from scratch. However, the difference in cost is minimal as many of the kit boat retailers pass on the savings they make by buying the materials in bulk. And, any savings you make will depend on your being able to source the materials locally and cheaply. It is surprising how shipping costs can add up if everything has to be bought at a distance. Besides, any saving could soon go out the window if you happen to make a mistake in the cutting. So, a kit that has all the parts pre-cut, will not only eliminate the danger of wasting valuable wood but save you a lot of building time as well. All the better kit boats are now cut out using CNC. (computer numerical control), this is the process of cutting parts using a high speed router head or a laser which is computer controlled. These machines can cut the parts far more accurately and much faster than a human can. Using CNC not only improves the quality of the parts but should help reduce costs and lower the price of the kits. Look for kits which have been CNC. cut using router heads rather than lasers. There is no difference in accuracy or precision but laser cutting leaves a black burned edge and cannot cut in three dimensions. Routers on the other hand can cut scarfs, rabbets, and bevels and leave a smooth even edge. 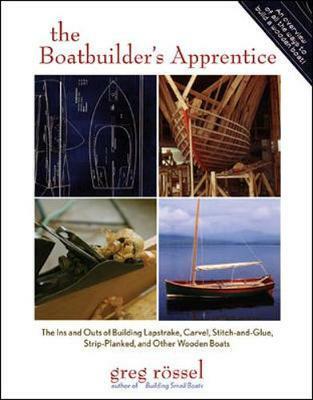 The most popular wood boat kits use the hard chine stitch and glue technique. These boat kits are the cheapest and simplest to contemplate. Using plywood panels that have been pre-cut to size the builder then has to stitch them together with cable tires or wire, then bonded the panels together with epoxy and fiberglass tape. Only a few small power and hand tools are required to complete these wood boat kits. But you will need a clear mind, patience and the willingness to read and follow the directions. It will also be of assistance if you have some basic carpentry skills. Other methods such as strip-plank building, multi-chine and lapstrake involve many more pieces and more time. And they take longer to finish as there is more faring to do. The majority of kits suggest a building time for completing each of them, these should be regarded as a minimum time. The first time builder can quite easily double the time taken due to interruptions, time taken to figure out what that funny little bit is and where it should go as well as getting to grips with a new skill.